Thrombosis involving the venous circulatory system, as the proximate cause of deep vein thrombosis (DVT) and pulmonary embolism, and arterial thrombosis responsible for myocardial infarction (MI), ischemic stroke, and sudden cardiac death collectively represent one of the most common, preventable, and treatable disorders in clinical practice. 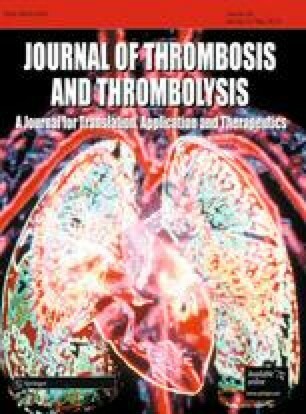 From a teleological perspective, thrombosis is life-saving and limits blood loss following vascular injury; however, in many ways thrombosis is a very highly evolved and, at times, over-expressed biological response to any breach of vascular integrity or perceived challenge to bodily homeostasis. Accordingly, thrombosis is a well-recognized by-product of infection, trauma, malignancy, and atherosclerosis, as well as several rapidly emerging conditions, including obesity, inactivity, and diabetes mellitus. The II International Symposium of Thrombosis and Anticoagulation (ISTA) was sponsored by an unrestricted grant from sanofi-aventis. The symposium was organized by Meeting Eventos, and the chairmen of the meeting thank Cecilia Jahnel, Fernanda Prestes, and Daniela Rodrigues for all of their support in the organization of the symposium.